Act locally through your Sierra Club Chapter. It's been just over a year since Donald Trump was elected -- upending everything most of us believed in and filling us with fear for the planet we love. If you're like me, everything around you looks a little different. That stream where you fished as a kid? Now you wonder when it'll be too contaminated, thanks to Congress' repeal of Pres. Obama's Stream Protection Rule. The mountain you love to hike each summer? Now you're afraid it'll fall to strip mining, thanks to Interior Sec. Ryan Zinke's plot to sell off our public lands to his big donors. And the children you hear playing in the park down the street? Now you wonder how long before the air is so polluted they all suffer from asthma, because Trump pulled us out of the Paris agreement and scrapped the Clean Power plan. Yes, Trump's toxic agenda affects us all, at the most local level -- putting our air, water, health, and beautiful green spaces at risk. Here's the good news: you can fight back at the local level, by supporting the Virginia Chapter. The Virginia Chapter is working hard on grassroots organizing and advocacy campaigns designed to stop Trump and his pro-polluter cabinet at your doorstep. But they need your support to do it. Can we count on you for a monthly donation of $5 or more to the Virginia Chapter today? Robert, I know that watching Trump, Scott Pruitt, Ryan Zinke and the rest dismantle decades of environmental progress piece-by-piece can make you feel helpless. What can one person do against the best-funded lobbyists Big Energy can afford? What can one neighborhood do to stop our parks and wild places from looting by polluters? The answer may surprise you: a lot. The Sierra Club has fought Big Oil and Coal many times, and won -- shuttering coal plants, blocking Keystone XL, and more. We've helped pass state and municipal policies on clean air and renewable energy and build political power in local governments. And we've done it thanks to the help of grassroots neighborhood activists and supporters like you. 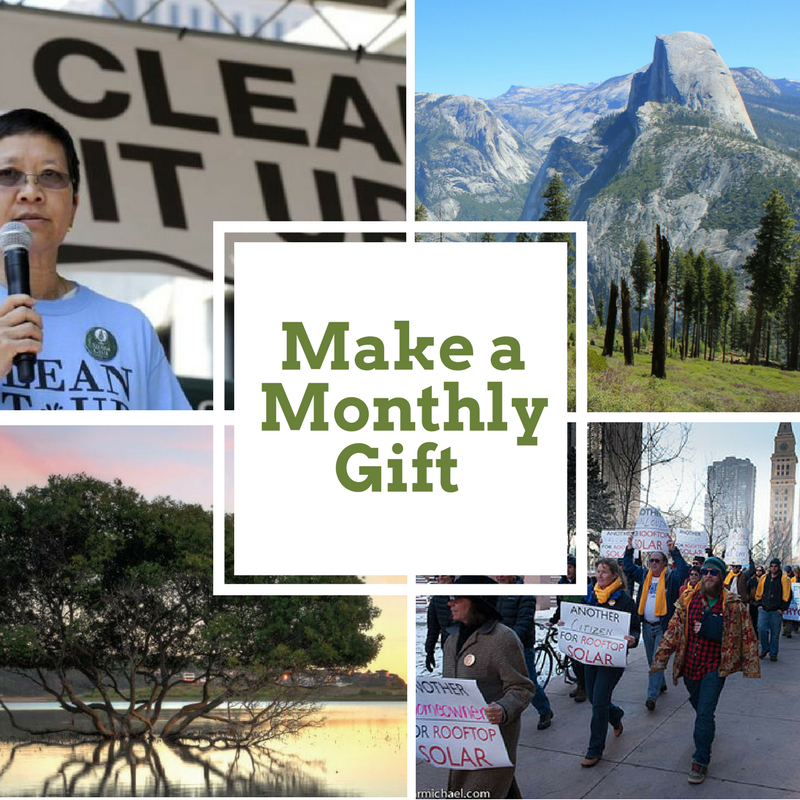 Can you help again now, so our chapters can finish the year strong and head into 2018 ready to battle Trump and the anti-environment GOP Congress on behalf of your community and mine? A monthly gift helps ensure that the Virginia Chapter has the resources to continue this fight to save the planet we love. Rush your monthly gift of $5 or more to the Virginia Chapter today. Every dollar you donate stays local to protect your community. Thank you for generously supporting the crucial work of our local Sierra Club chapters. Together we will protect our air, water, public lands and human health from the damage this administration is daily attempting to inflict -- while continuing to build a movement of pro-environment activists to power the progress we seek.